Helorus rufipes. You don’t get much more obscure than this. It’s one of three British species of the family Heloridae, a family found over much of the globe but not one of the hymenopteran success stories, with only a small number of species. They’re not very big and they are not very flashy but they do live in British woodlands and gardens and are quietly going about their business, laying eggs in lacewing larvae and eating them from the inside. This specimen was on the wall by my back door as I left for work one morning. But you won’t find Helorus in many field guides or many online illustrations. 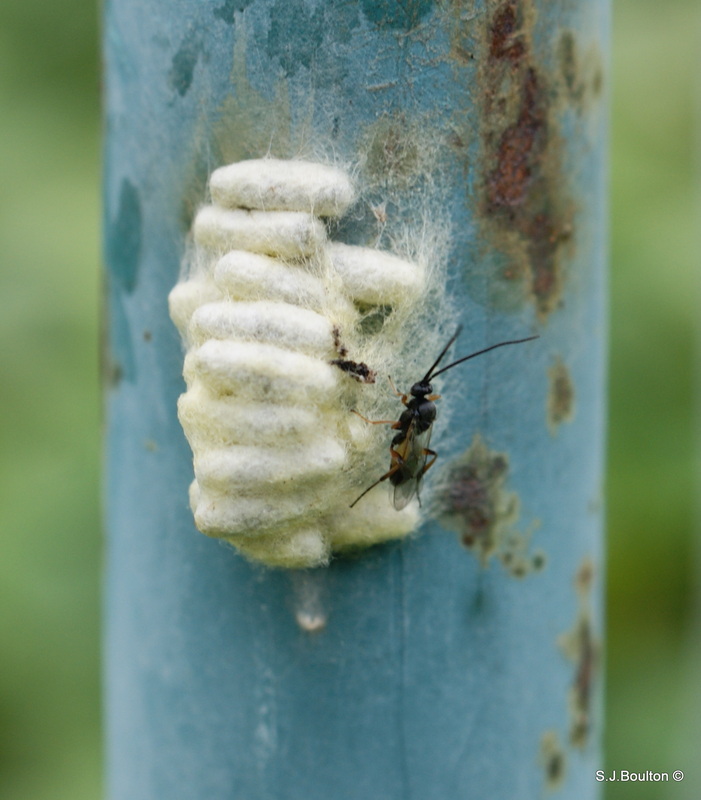 Just one of many obscure families of Hymenoptera that fill our landscape. Sorry for the blurred photo but it flew before I could get a better one. I have posted these little wasps before but never with a chrysalis. these wasps are tiny but very numerous on the allotment where we get so many Cabbage white butterflies. 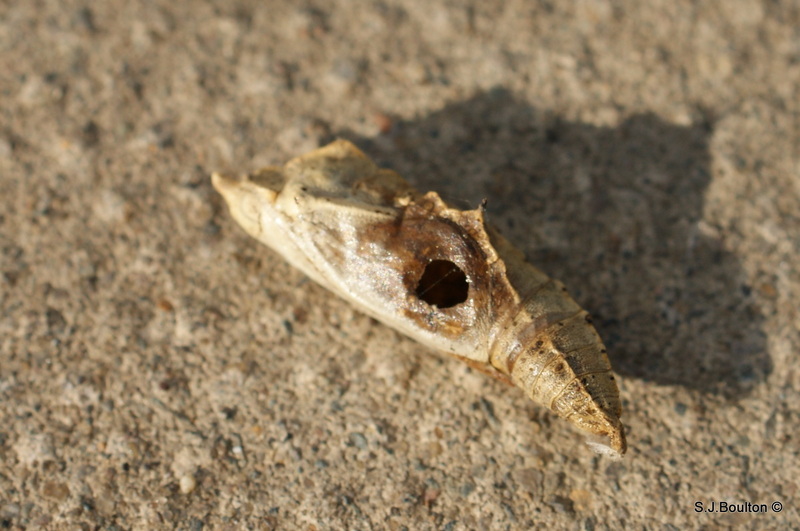 The adult injects eggs into the chrysalis where its young develope and eat the pupating caterpillar. 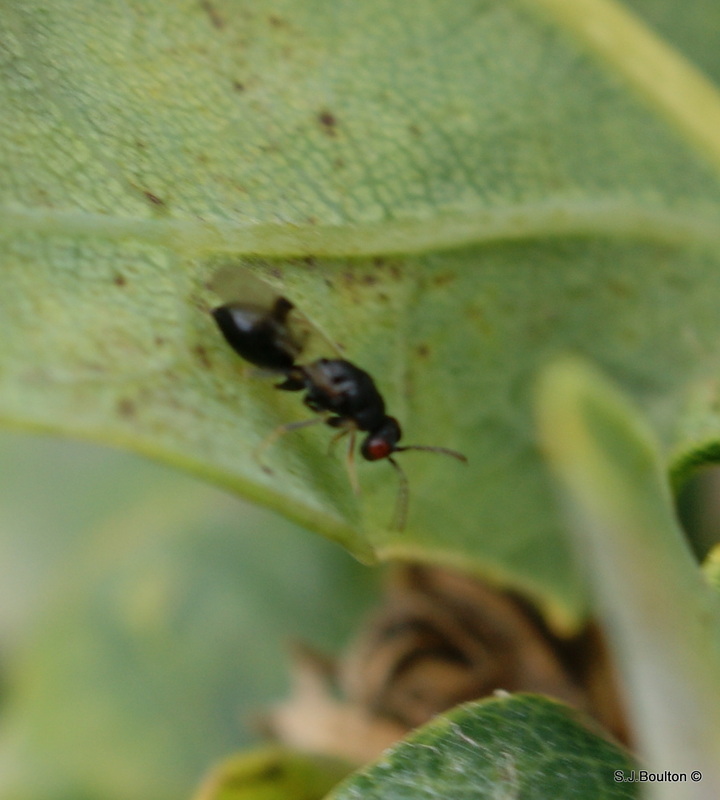 A tiny parthenogenetic wasp which is an endoparasitoid of adult ladybird beetles. The adult wasp is rarely seen but investigation of non-moving ladybirds will sometimes reveal a cocoon of this wasp beneath. 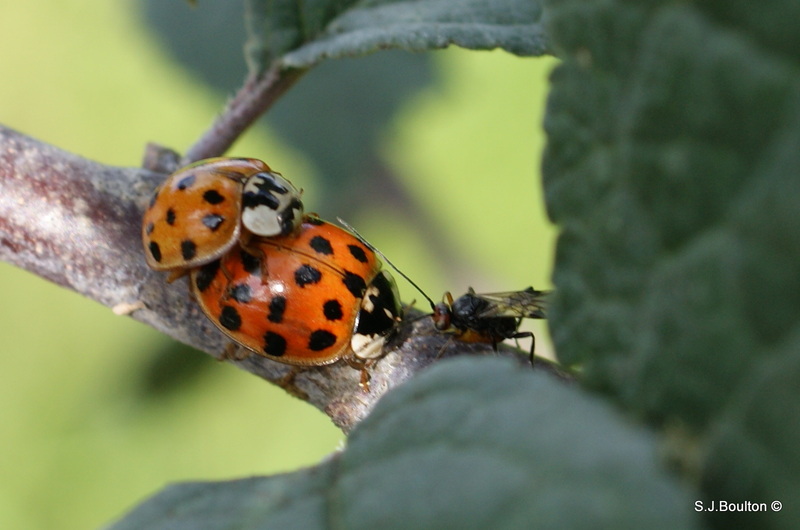 Wherever its host ladybird species are to be found. 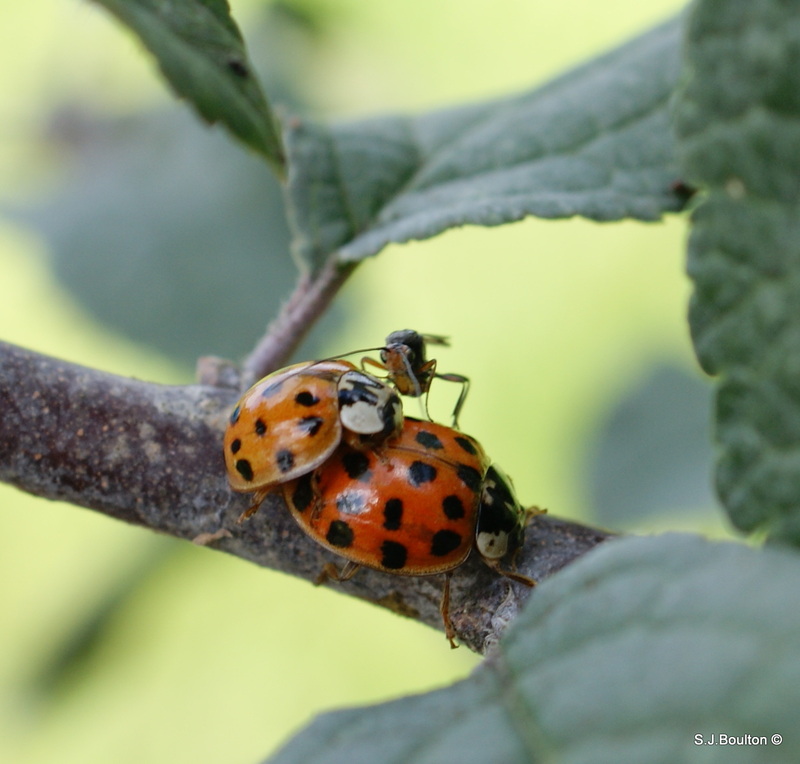 7 Spot, 11 Spot and Cream-streaked Ladybirds seem to be the preferred hosts. Spring and summer when the host ladybirds are about in numbers. 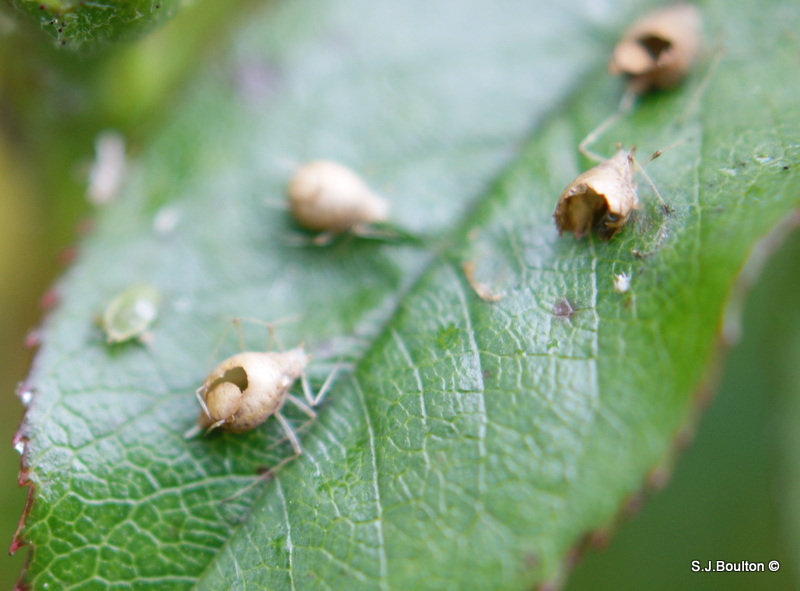 You learn something new every day, while trying to ID this Aphid type it came to light that these have been mummified , in each one is a Parasitic wasp larvae which will emerge fully developed. 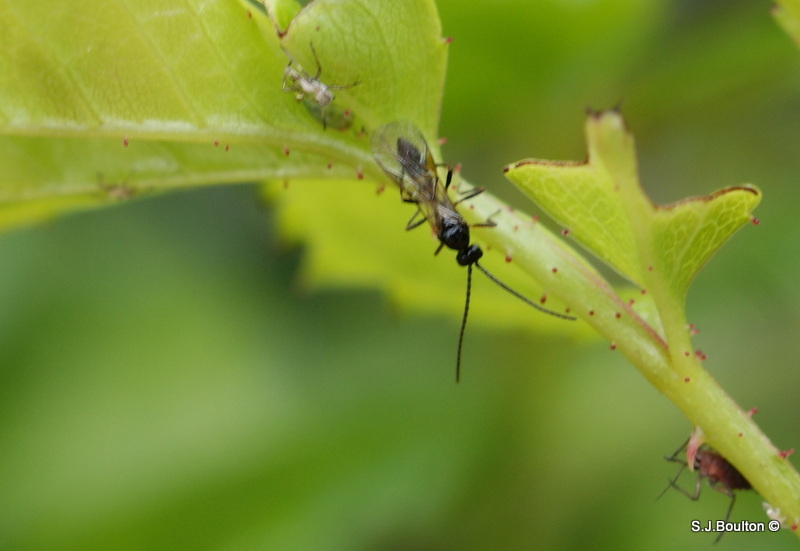 Natural enemies are various species of parasitic wasps that lay their eggs inside aphids. 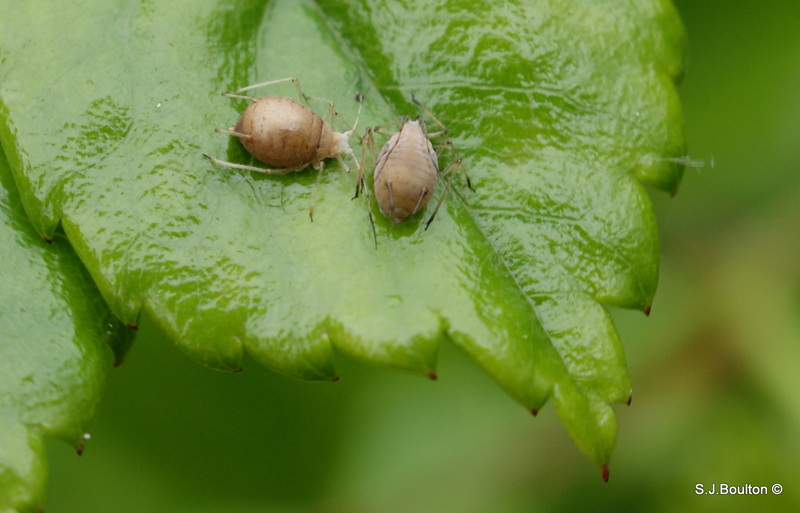 The skin of the parasitized aphid turns crusty and golden brown, a form called a mummy. 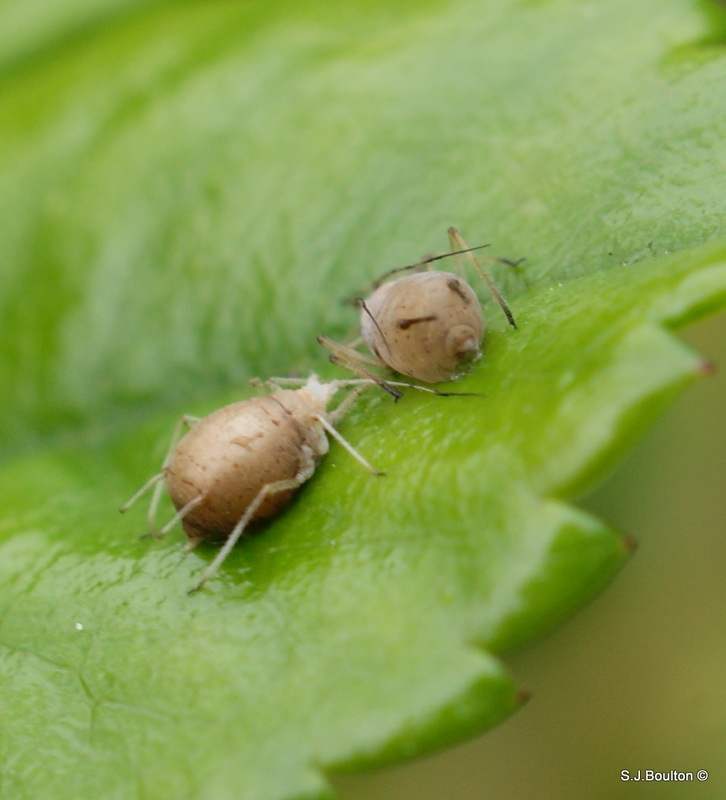 The generation time of most parasites is quite short when the weather is warm, so once you begin to see mummies on your plants, the aphid population is likely to be reduced substantially within a week or two. I have just been out to check and sure enough here is a photo I took of the empty bodies and you can clearly see where the wasp has emerged from mummified aphid body. About 9mm long and a rather iridescent sea green in colour. Associated with open habitats with aerial nesting sites of its hosts such as wooden fence and gate posts, dead trees, logs and tree stumps, and holes in mud and cob walls. 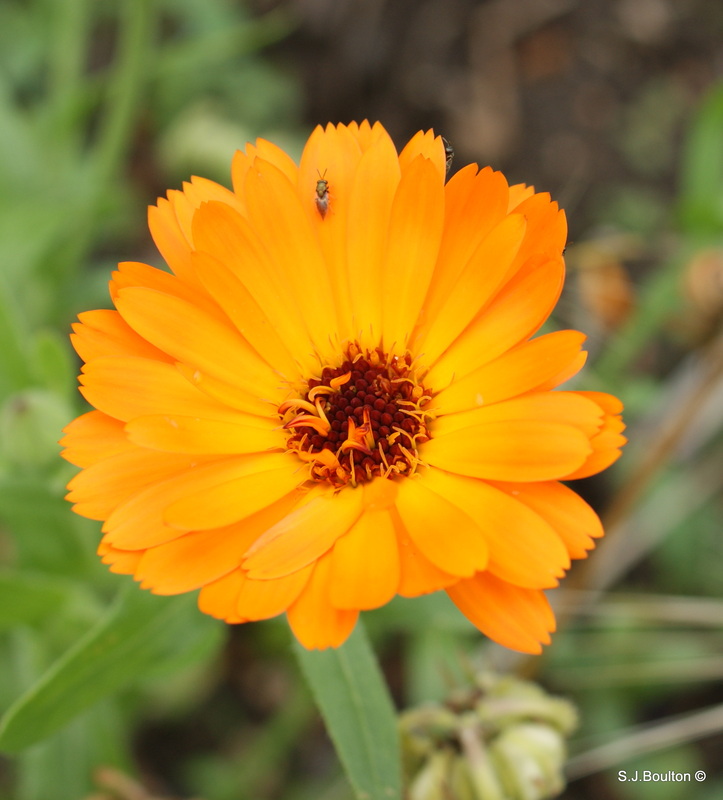 Recorded from May until September but mainly during June and July. There are a very few records from April and October. The males and females have the same flight period. Several umbellifers are amongst the flowers it visits. It is a cuckoo wasp and its hosts include wasps of the Trypoxylon family. This species shows a widespread distribution in southern Britain up as far as Yorkshire with isolated records from further north..